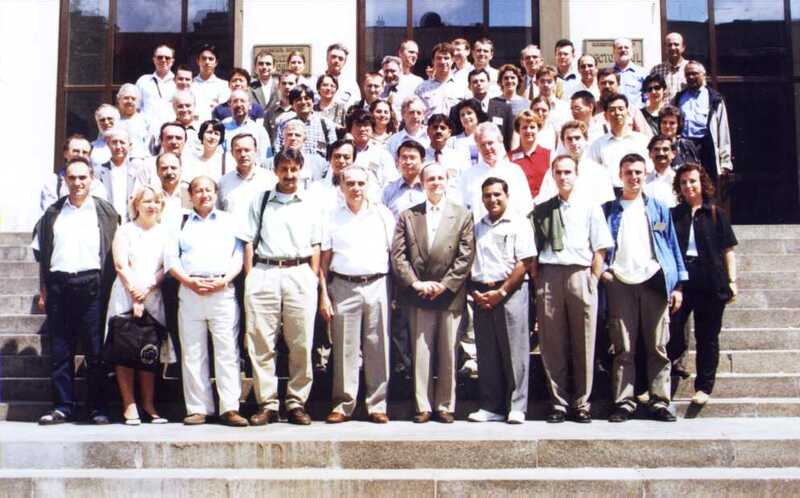 "The Forum of Chalcogeniders was born during the First International Workshop on Amorphous and Nanostructured Chalcogenides (Bucharest, June 25-28, 2001). The President of the Forum is Acad. Prof. Dr. Radu Grigorovici. One of our purposes is to bring together the people, which works in the field of non-crystalline chalcogenides. Now the Forum is extended to encompass the domain of microcrystalline chalcogenides. Sulfur, selenium, tellurium and combinations with other elements, that form the chalcogenides, are now challenging materials for science and technology. The Forum of chalcogeniders aims to strengthen the collaboration between colleagues from all around the world and to stimulate the development in the field of chalcogenide materials. I remark that as early as 2000, Keiji Tanaka and Koichi Shimakawa, as well as Tamihiro Gotoh and Ashtosh Ganjoo, initiated an e-mail group of discussions and exchange of information, aiming to unite the chalcogenide people as "a research group on chalcogenide glass". More than 35 scientists participated into this group. The Forum of Chalcogeniders founded in 2001 the "Stanford R. Ovshinsky" Award for Excellence in Non-Crystalline Chalcogenides (conferred annually). The Web page of the Forum will publish periodically scientific articles of interest for the community of chalcogeniders. Announcements regarding workshop, conferences, books, reviews related to chalcogenides will be posted. Information on the participation of the chalcogeniders to various international projects and networks of excellence will be made public in order to focus the interest of various groups of research in chalcogenide materials."